The Bloodlust film was released in 2001, but its hero debuted eighteen years before. The 1983 novel Vampire Hunter D was written by Hideyuki Kikuchi and illustrated by Yoshitaka Amano. It’s Amano’s name that’s famous with fans, thanks to his later work on Final Fantasy, but Kikuchi deserves recognition too. In the words of Fred Patten, Kikuchi “fashioned himself into one of Japan’s leading horrormeisters… churning out paperback novels in the tradition of Western horror writers like Robert E. Howard, Fritz Leiber, Robert Bloch, H. P. Lovecraft and Stephen King”. Besides dozens of Vampire Hunter D volumes, Kikuchi wrote the books that inspired Wicked City and Demon City Shinjuku – more on them later. D wanders a lawless world ten thousand years in the future. For much of this time, vampires have ruled ordinary humans, but their power is finally waning (as mentioned at the start of the Bloodlust film). D takes on anti-vampire missions for pay, but he’s no mere Van Helsing; he’s a supernatural being who is half-vampire himself. His fighting powers are considerable, some of them stemming from a “symbiont” creature that appears as a face on D’s left hand. Whereas D is taciturn, the symbiont keeps up a stream of irreverent chatter that D, understandably, ignores. The idea of a half-monstrous hero wasn’t new even in 1983; a precedent was the Go Nagai character Devilman, created a decade earlier. The vampire-fighting Marvel hero Blade was also created in the 1970s, but didn’t become superhuman until the 1990s. D predates such hero monsters as the vampiric Angel in America’s Buffy franchise and the cursed women warriors in Norihiro Yagi’s Claymore. Vampire Hunter D, on the other hand, had a screen adaptation only two years after the first book. This version was directed by Toyoo Ashida, who’d helmed the never-ending Fist of the North Star series, and was animated by Ashi Productions, which was also making the horrible Violence Jack video films. By general consensus, this Vampire Hunter D wasn’t among anime’s great artistic achievements, and yet it was an important landmark. In America, the 1985 film became one of the first anime exports on home video for the Akira generation, partly thanks to screenings on America’s Sci-fi Channel. Based on Kikuchi’s first book, the 1985 film relates a different adventure from Bloodlust, and has mostly different characters. The only ones who return in Bloodlust are D himself and his symbiont. Indeed, given that D hardly ages, it’s possible that the story we see in the 1985 film takes place decades or centuries before Bloodlust. The vampire villain was pleasingly called Count Lee, clearly named after a certain British actor who stood tall in capes. According to Patten, Kikuchi “complained about the cheapness of the first movie,” though his own book sequels offered plenty of material for another try. But before that, two anime movies adapted Kikuchi’s non-D novels: Wicked City (1987) and Demon City Shinjuku (1988). Both were animated by the Madhouse studio, and helmed by a new director called Yoshiaki Kawajiri, who’d graduated from co-directing the space adventure Lensman. His version of Wicked City was especially well received. Kawajiri’s reputation was further burnished by a non-Kikuchi project, the iconic Ninja Scroll in 1993. 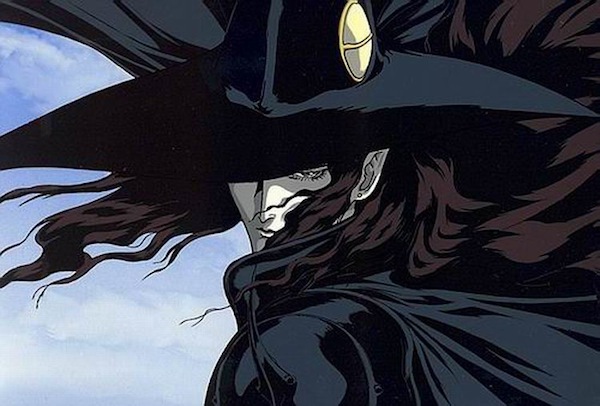 Kawajiri and Madhouse were already planning a new Vampire Hunter D film when a new partner entered the picture. This was Mataichiro Yamamoto, a veteran anime producer who was targeting the world market, forming Urban Vision Entertainment in Los Angeles. Thanks to Yamamoto’s involvement, Vampire Hunter D: Bloodlust could use American talents. Its music was composed by Marco D’Ambrisio, whose company Marco Co served as the post-production facility. 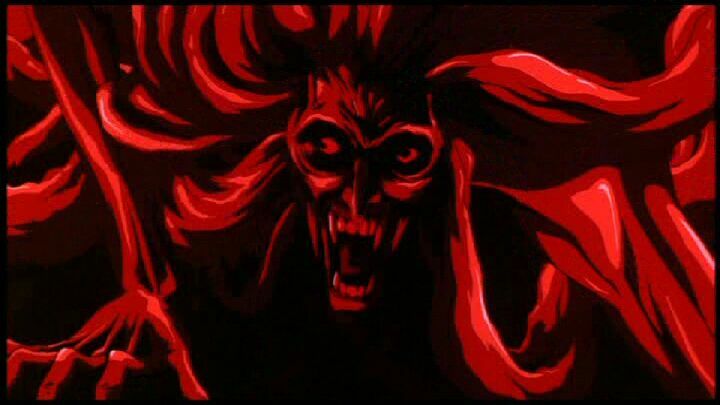 Bloodlust set a big precedent for cross-Pacific anime projects that sold themselves as anime, years before Kill Bill (with its anime segment by Production I.G) and The Animatrix. The film is adapted from Kikuchi’s third D novel, Demon Deathchase. The opening is a vivid homage to old-school horror, set in a medieval-looking stone town under a massive moon. The town is covered with jutting crosses from every rooftop, besieged by the nosferatu. The red rooftops suggest blood, though no blood is spilled yet; Kawajiri revels in atmospherics as much as gore. An ominous black coach races into town. The defensive crosses buckle, the town’s lights are doused. The end is pure Hammer; a beautiful wide-eyed lady in a plush bedroom sees her windows fly open. The main story has D recruited by the abducted maiden’s family. Spreading their bets, the family also recruits a rival team of vampire hunters who travel in a hulking metal steam tank (D favours horses). However, the vampire has been hiring, too, and our heroes encounter various supernatural foes with special attacks. One of them literally strikes from the shadows, while another blends with trees. Anyone who’s seen Kawajiri’s Ninja Scroll will find themselves on familiar ground, but the enemies have surprise bonus tricks to stop things getting predictable. But Bloodlust is more than a vampire Ninja Scroll. One poignant strand deals with the near-total rejection that D suffers from ‘normal’ human society, even when he saves their sons and daughters. This also sets up the film’s epilogue, one of the most moving end scenes of any anime. Another splendid scene has D encountering a flock of giant flying monsters in the desert, leaping from one to the next on horseback; it feels like the French fantasy strips by Moebius. Towards the end, D’Ambrisio’s music includes bellowing Black Mass chanting, surely nodding to Jerry Goldsmith’s classic score for The Omen. One female vampire in Bloodlust is named Carmilla, a call-back to a pre-Dracula story of that name by Ireland’s Sheridan Le Fanu. A powerful scene of a vampire stepping into sunlight and starting to burn may have been influenced by vivid imagery in a post-Hammer vampire film, Kathryn Bigelow’s Near Dark (1987). Then again, the use of spilled blood to revive a dead vampire goes back to Hammer’s Dracula, Prince of Darkness in 1966. Among vampire films, the one that seems to most influence Bloodlust is the lavish Bram Stoker’s Dracula (1992) by Francis Ford Coppola. There are the massively opulent costumes and sets, especially in the vampire’s castle in the last act. More than that, though, there are story developments in both films that question our traditional ideas about vampires as simple monsters to be staked and beheaded. These ideas were reportedly present in Kikuchi’s book, too, but Coppola’s film popularised them internationally. Urban Vision Entertainment strove to sell Bloodlust abroad. The film’s English dialogue was recorded first; the Anglophone cast includes Wendee Lee as Charlotte, the abducted girl, and multiple voices by John DiMaggio, who’d soon be famous as Bender in Futurama. The garrulous symbiont Left Hand is voiced by Mike McShane, whom older viewers may remember as a mainstay on the British improvisational comedy show Whose Line is it Anyway. The Japanese star voices included Megumi Hayashibara as the woman bounty hunter Leila and Koichi Yamadera as the vampire Meier Link. Bloodlust drew much praise on its American release. Anime News Network rated it “easily one of the top non-Ghibli anime movies of the late ‘90s/early 2000s”. 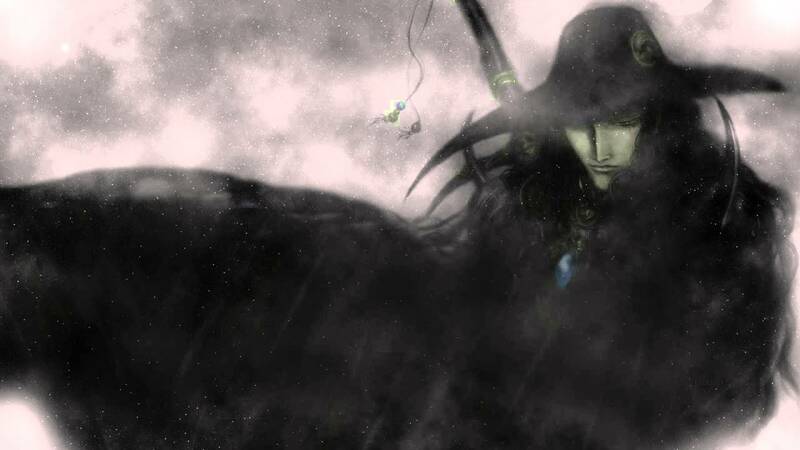 However, it never seems to have become a touchstone film in the way of Kawajiri’s Ninja Scroll or indeed the campier first anime of Vampire Hunter D. True, the Kikuchi books are still going in Japan and a new Vampire Hunter D Japanese-American TV show has been in Development Hell for years. But Bloodlust remains the pinnacle of the franchise on screen. Enjoy it. Vampire Hunter D: Bloodlust is re-released in the UK by Anime Limited. [UNBOXING] Wolf's Rain ULTIMATE ED.